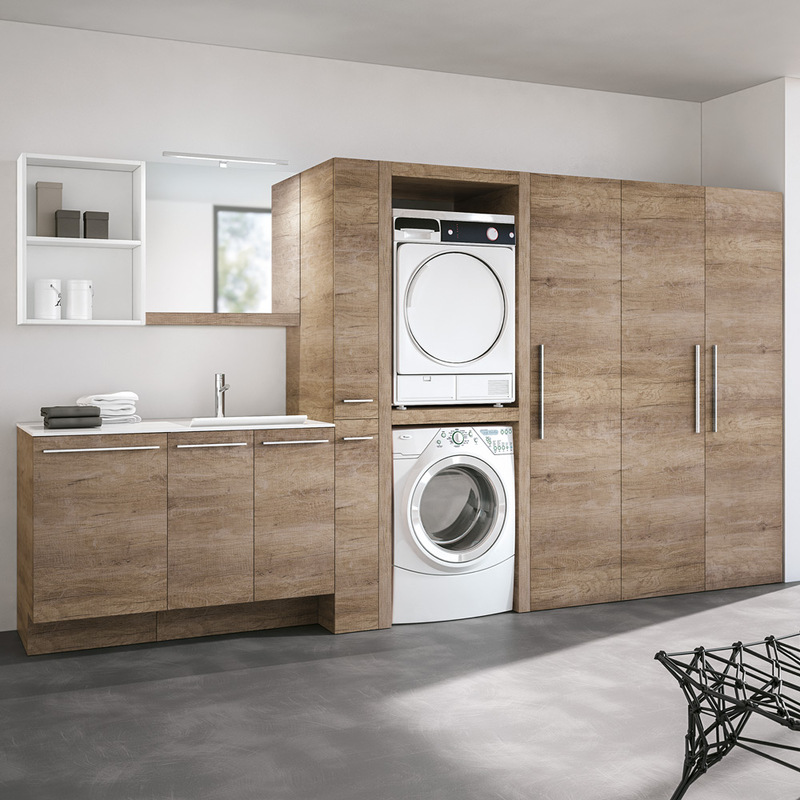 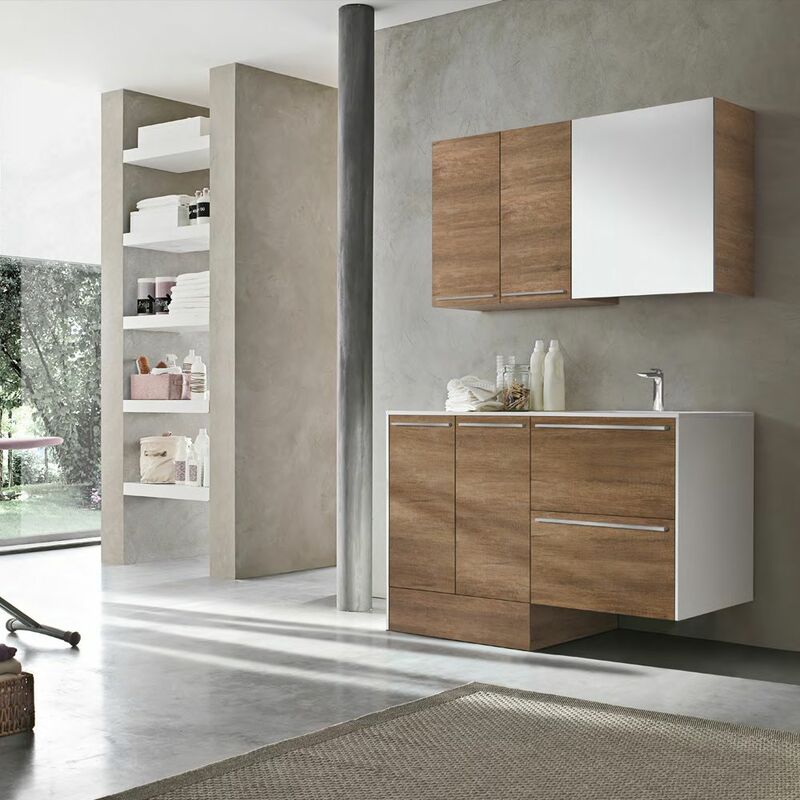 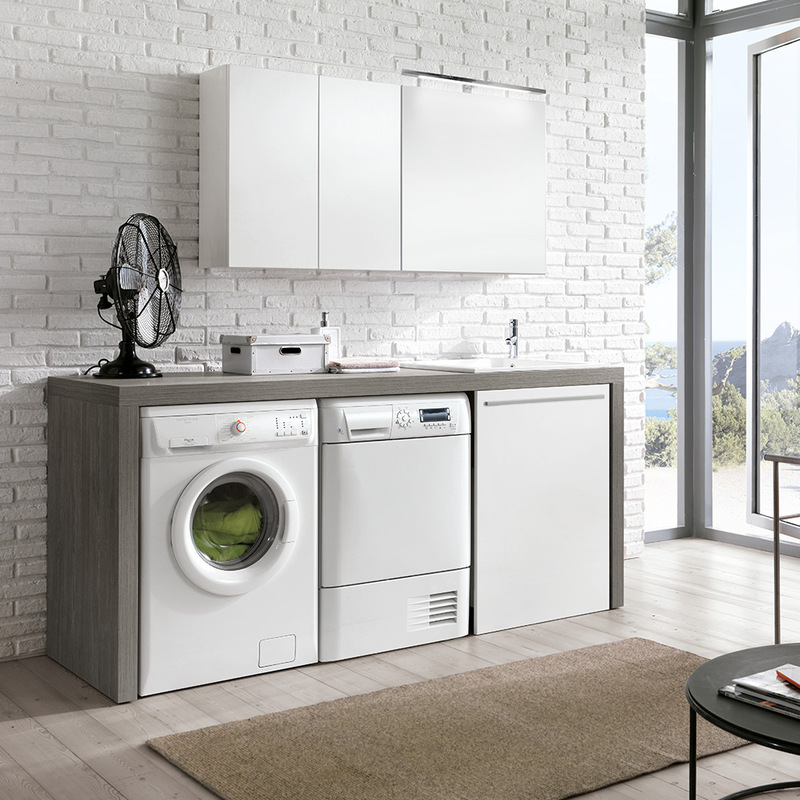 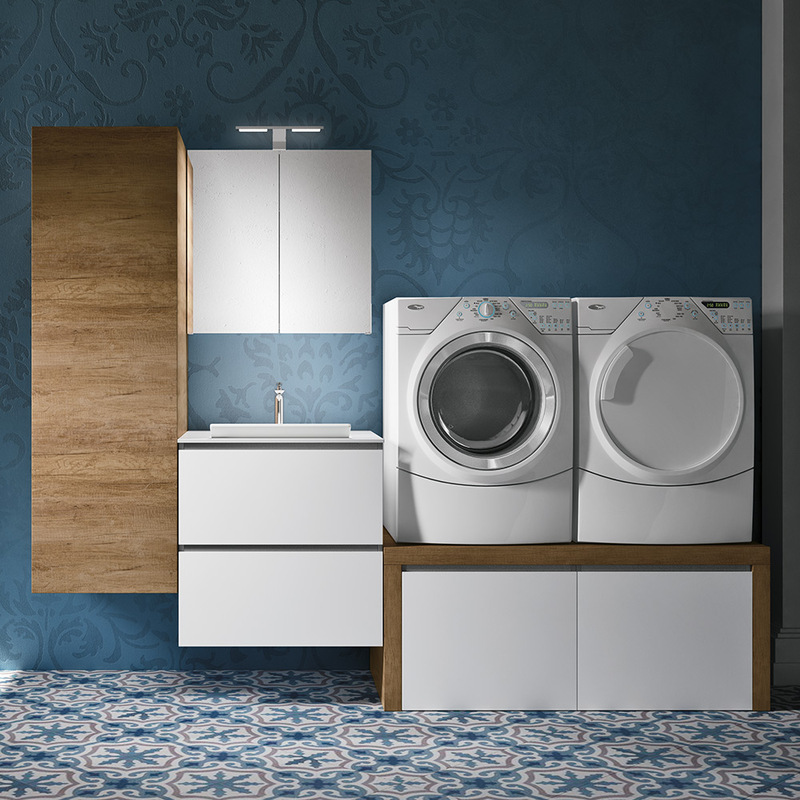 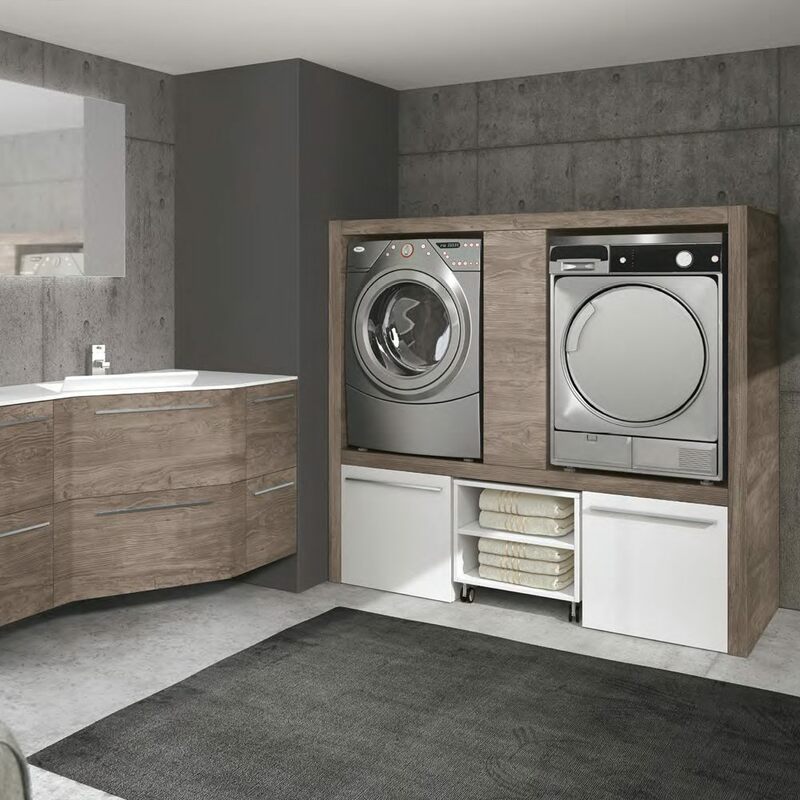 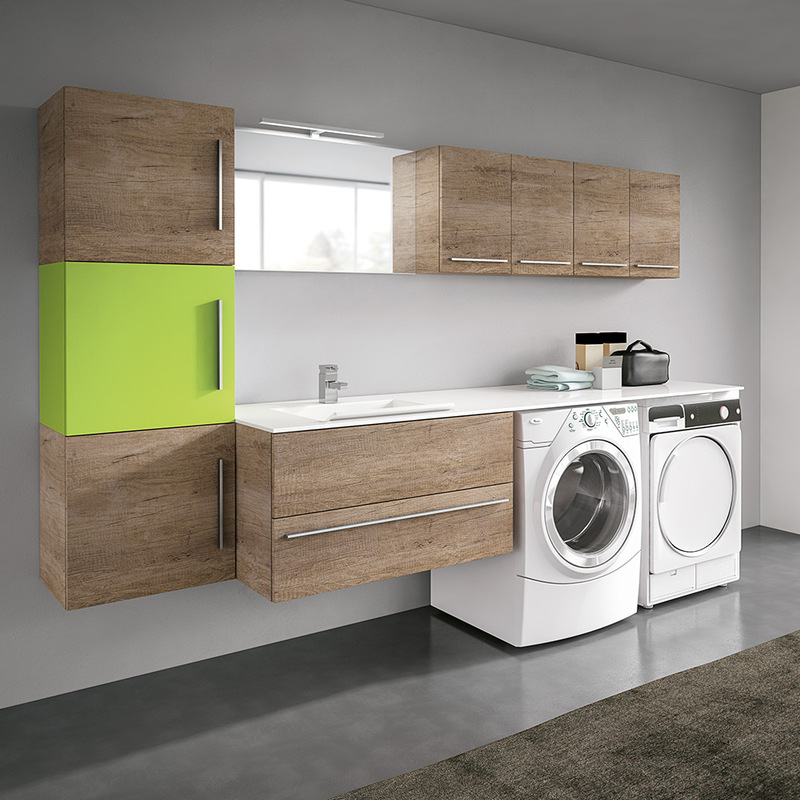 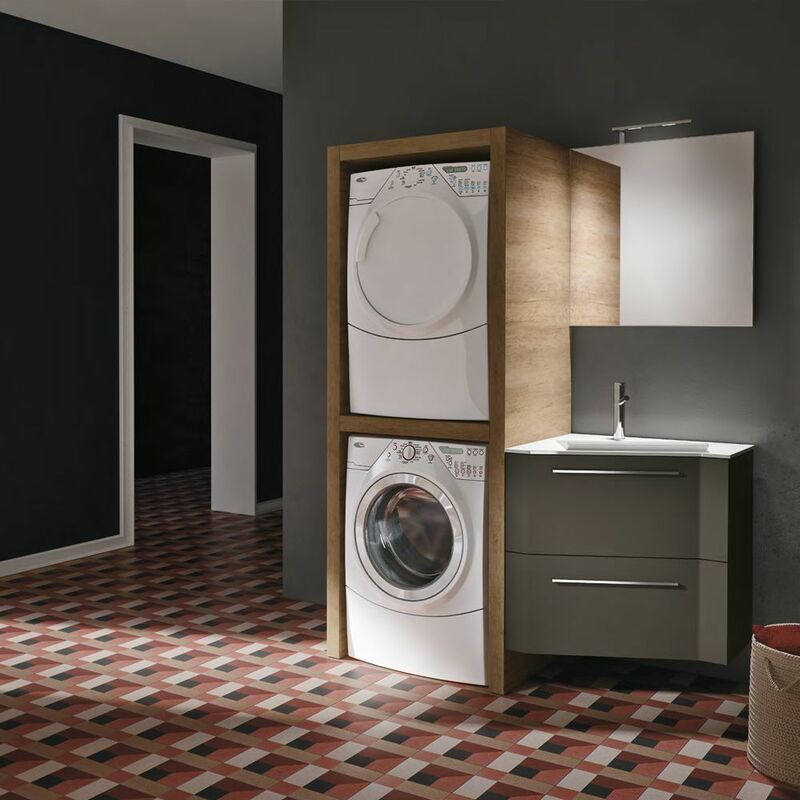 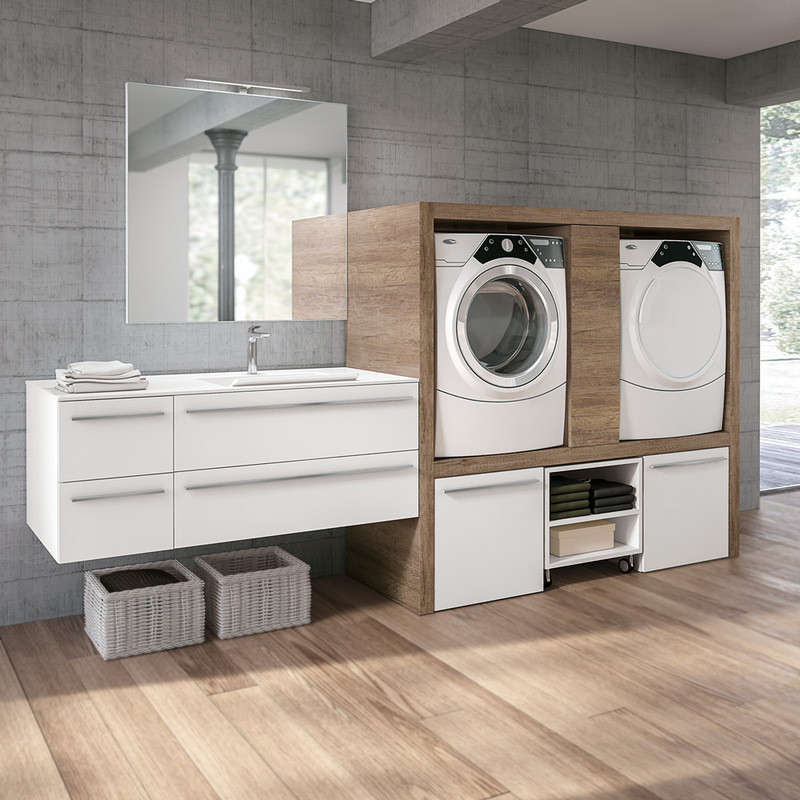 A large variety of products, solutions, and systems to furnish functional, practical, resistant, and aesthetically appealing utility rooms. 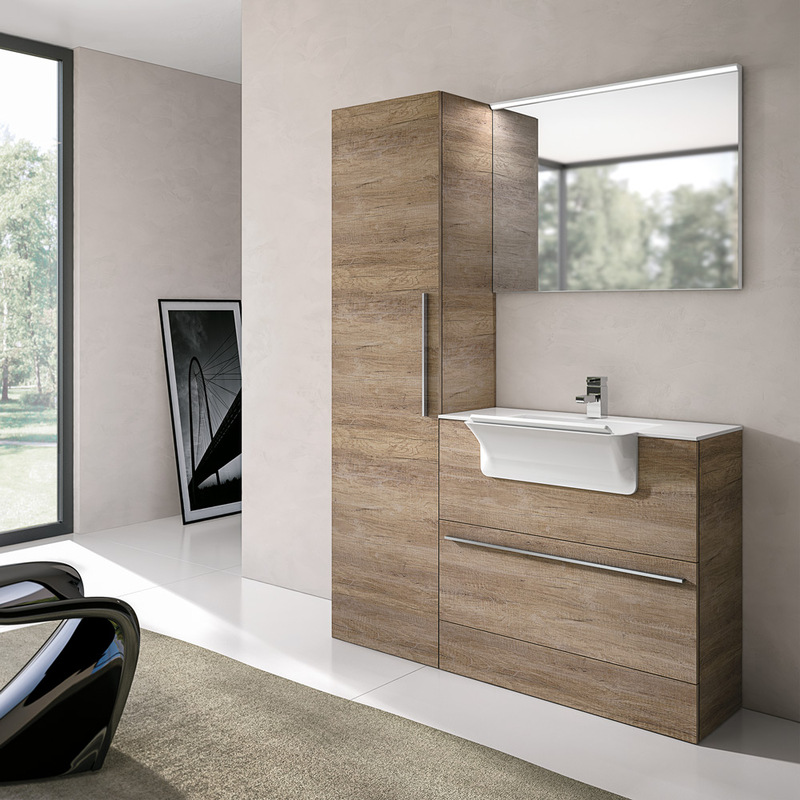 The beauty of the shapes and finishes blends with functionality and ease of use. 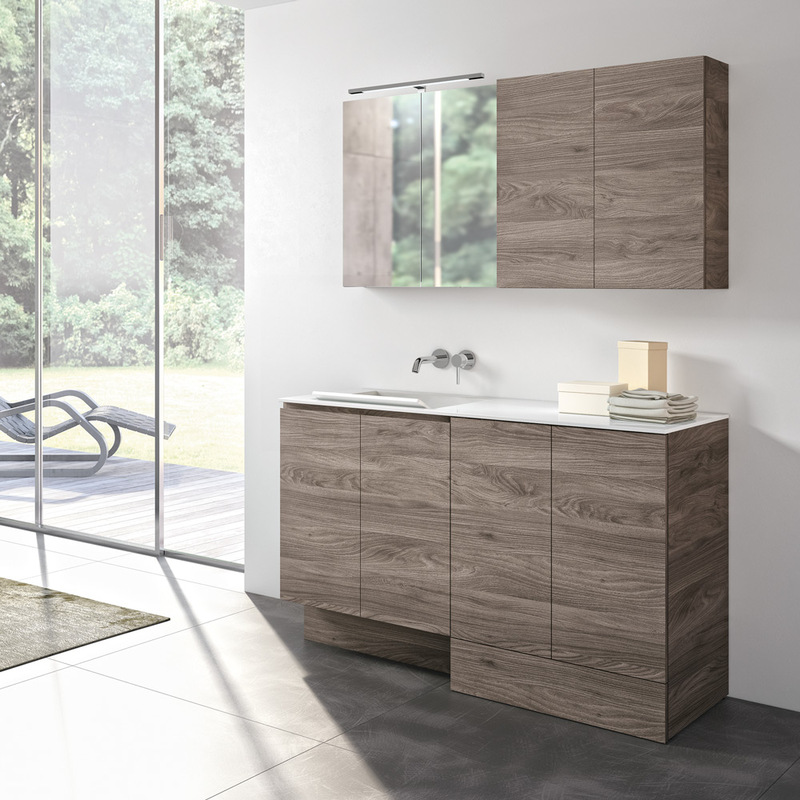 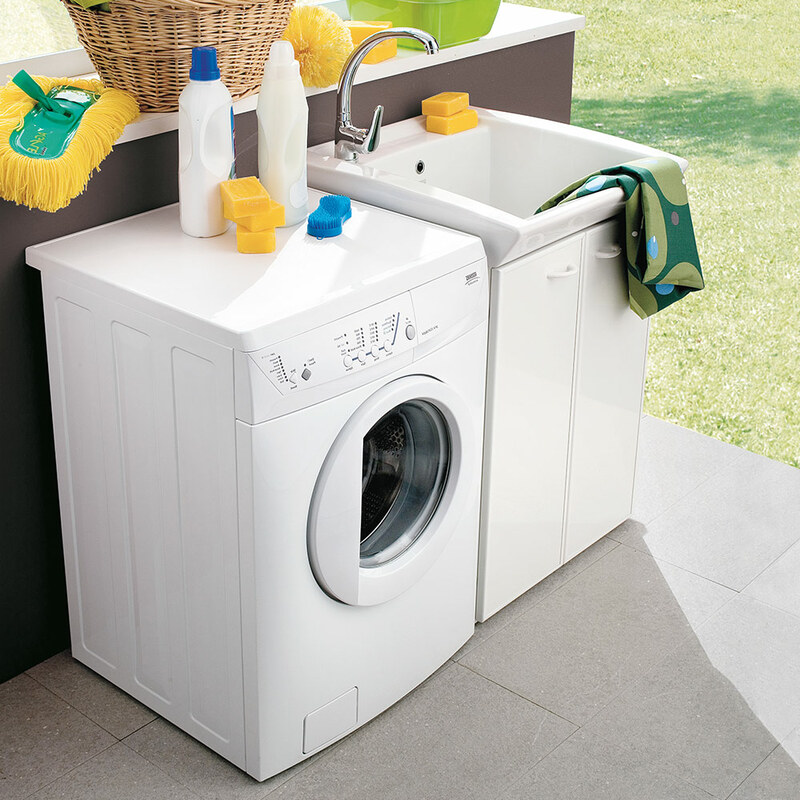 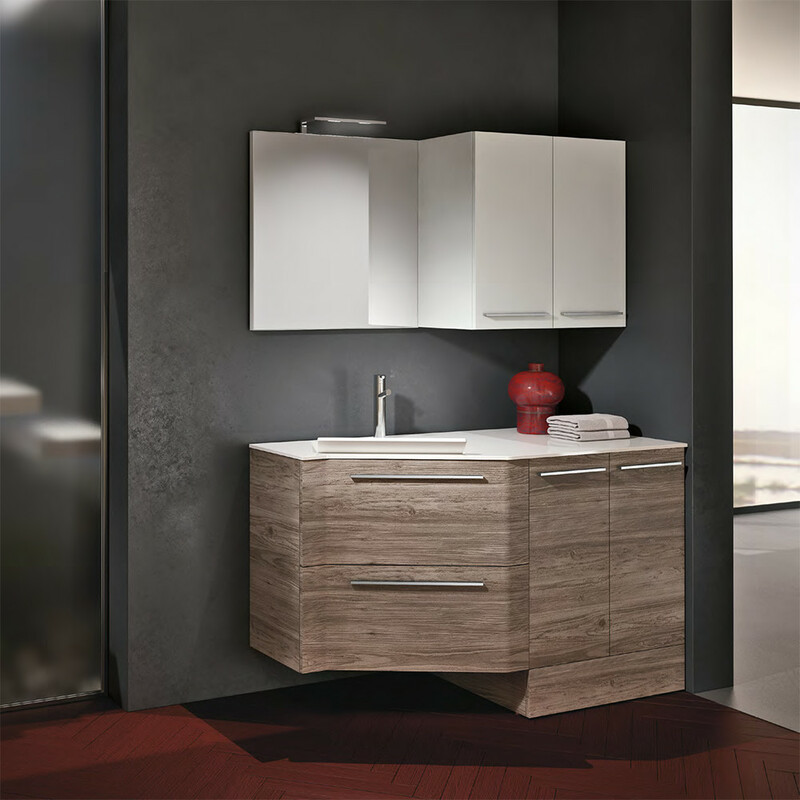 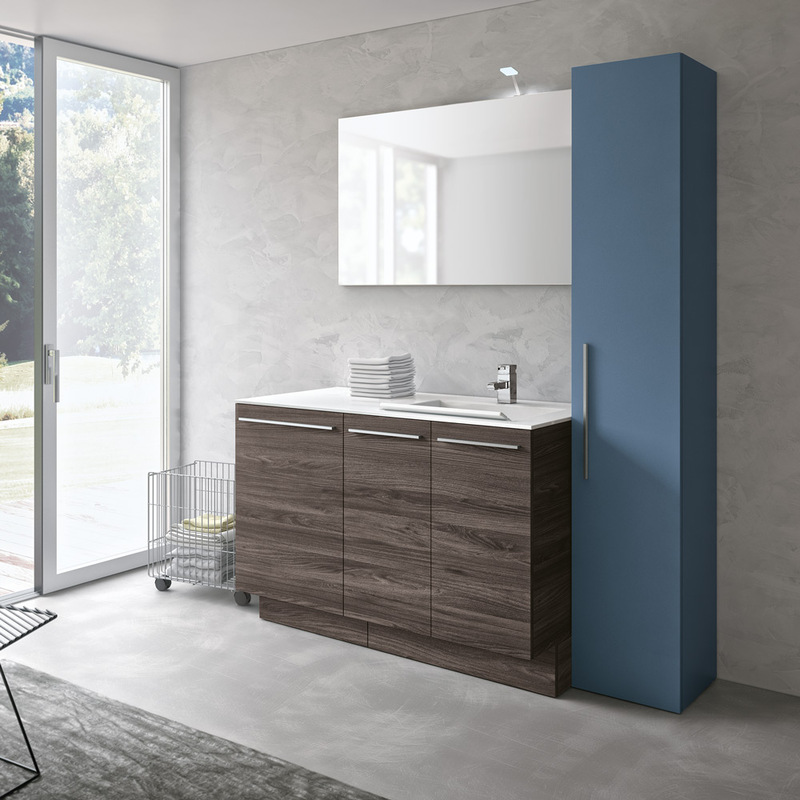 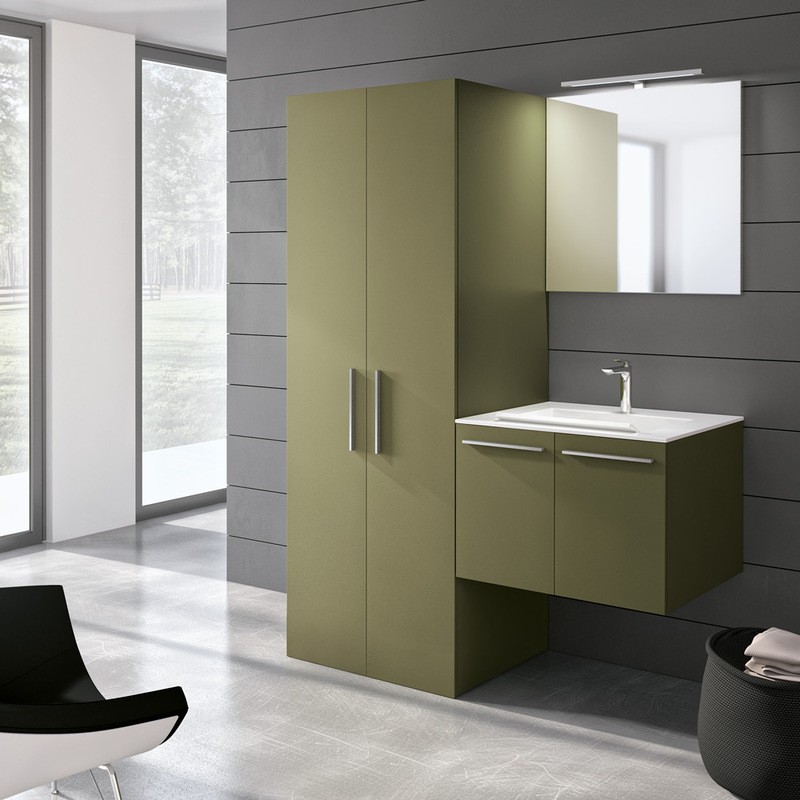 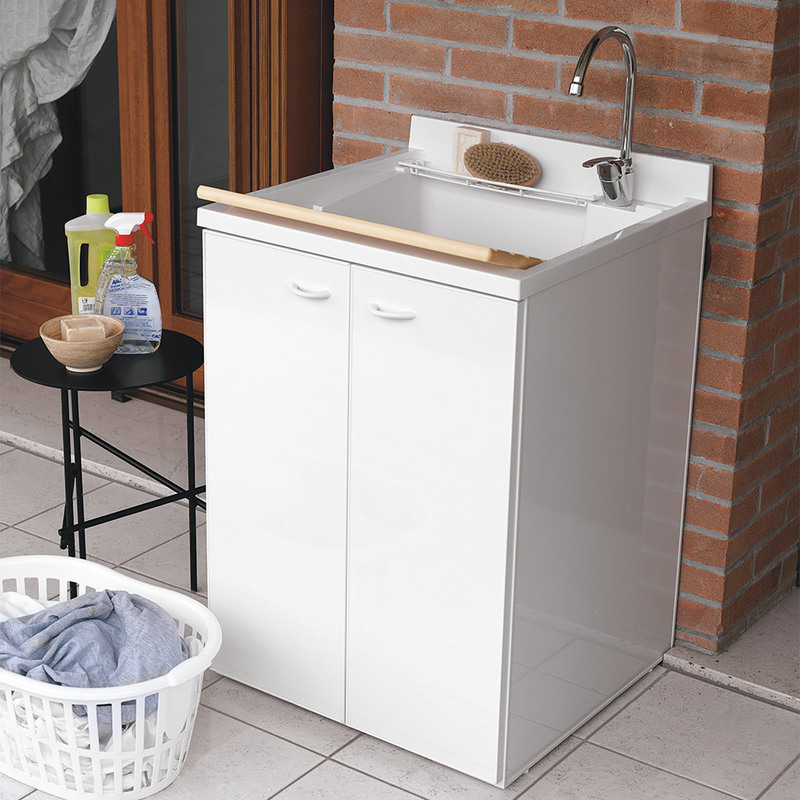 The top with built-in Geacryl washbasin has a precise, squared shape. 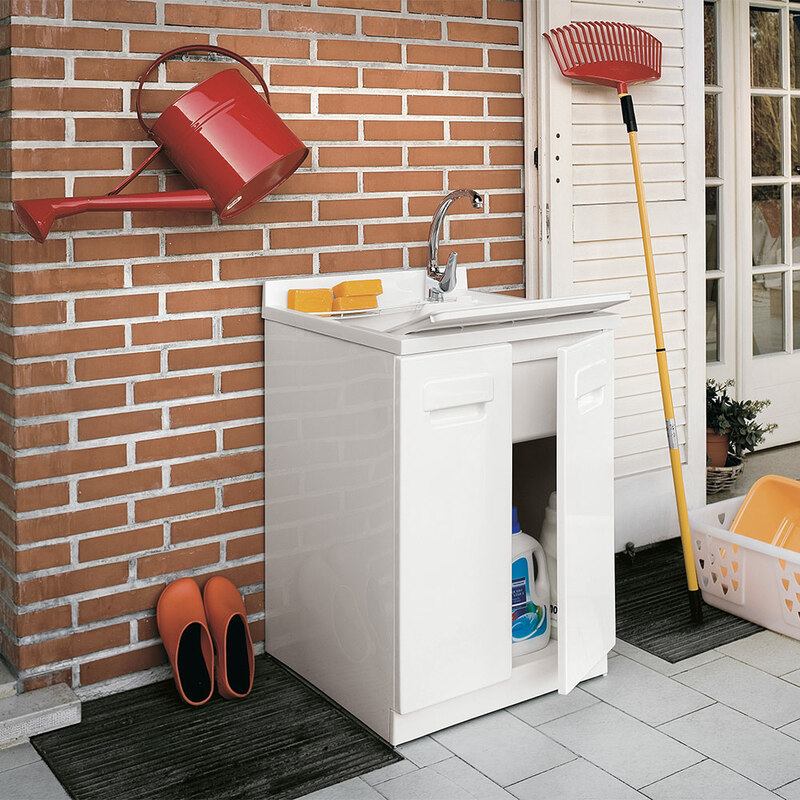 The size is deceptive: this is an ideal containment basin for a small space. 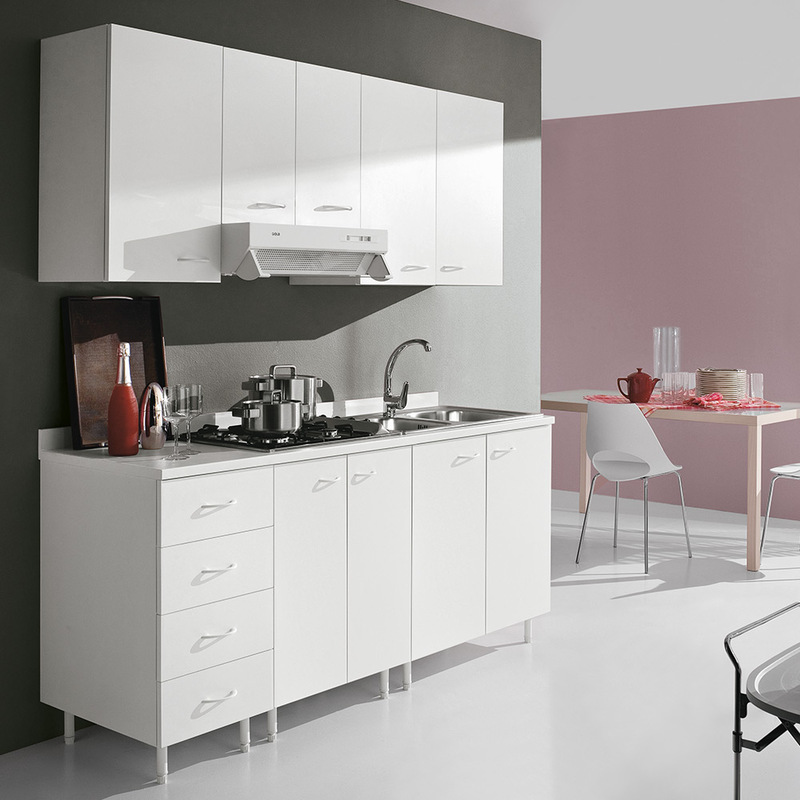 Its large thickness gives the structure a sense of solidity and sturdiness. 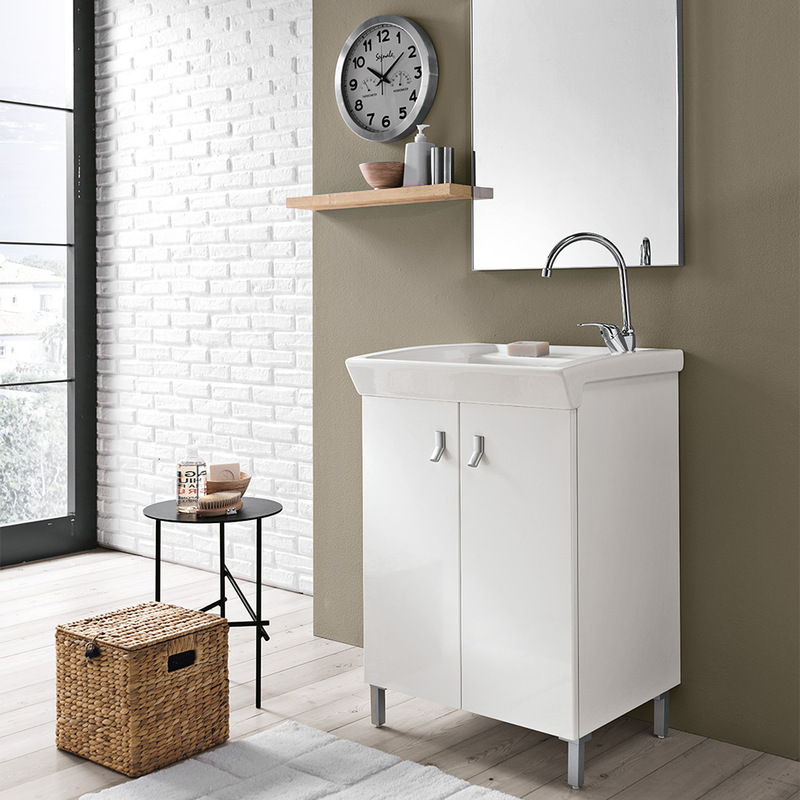 Glossy white Mieralmarble Top with integrated basin. 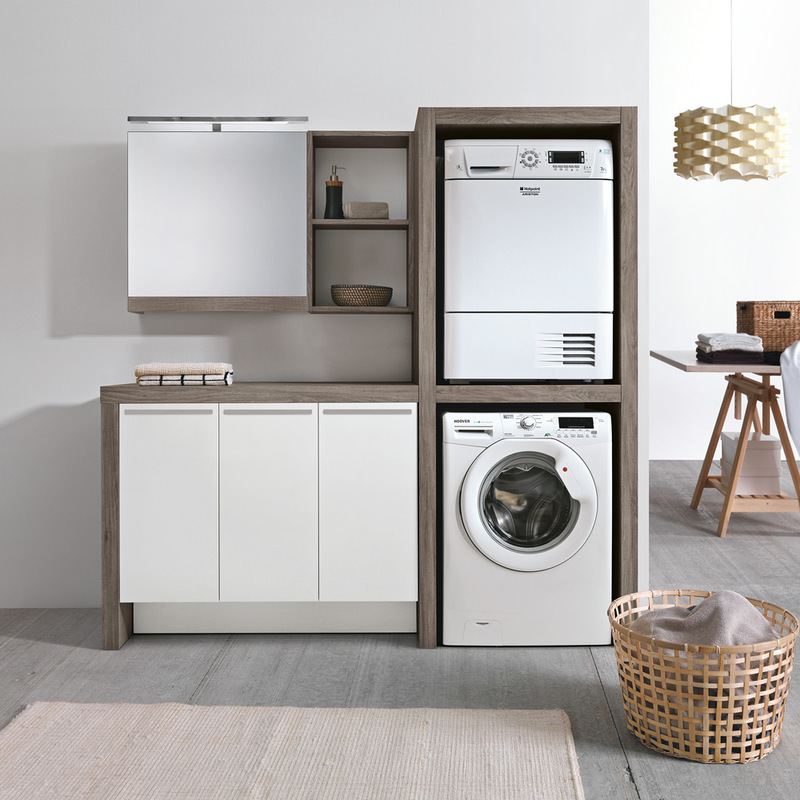 Storage units: practical and functional. 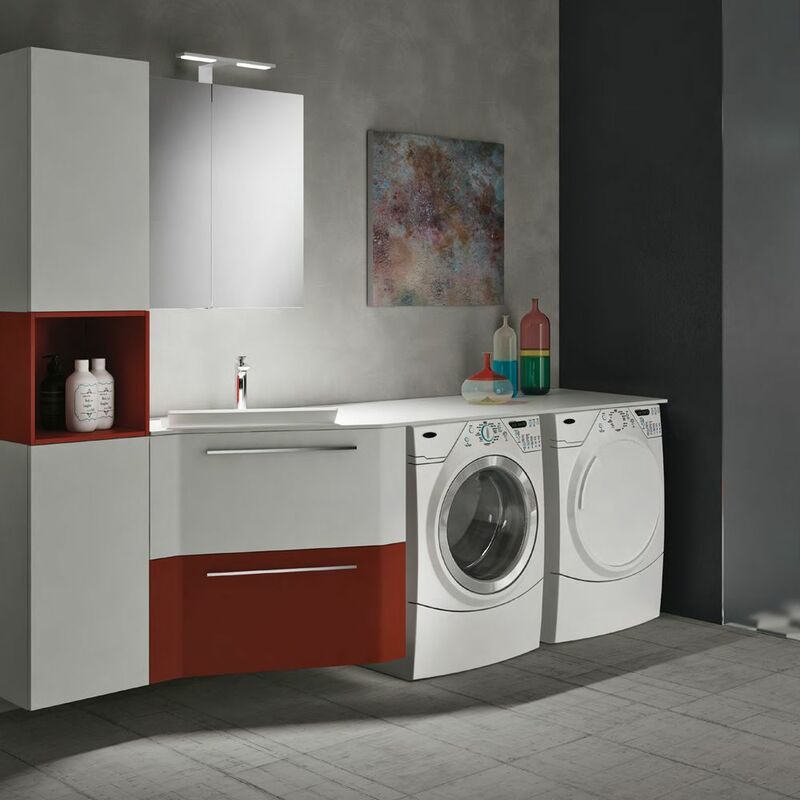 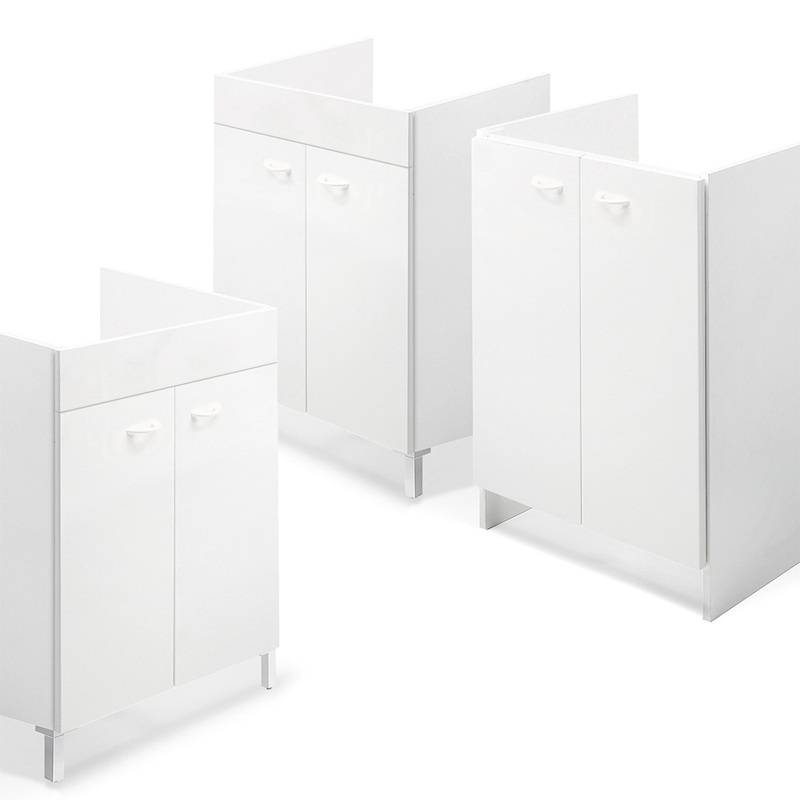 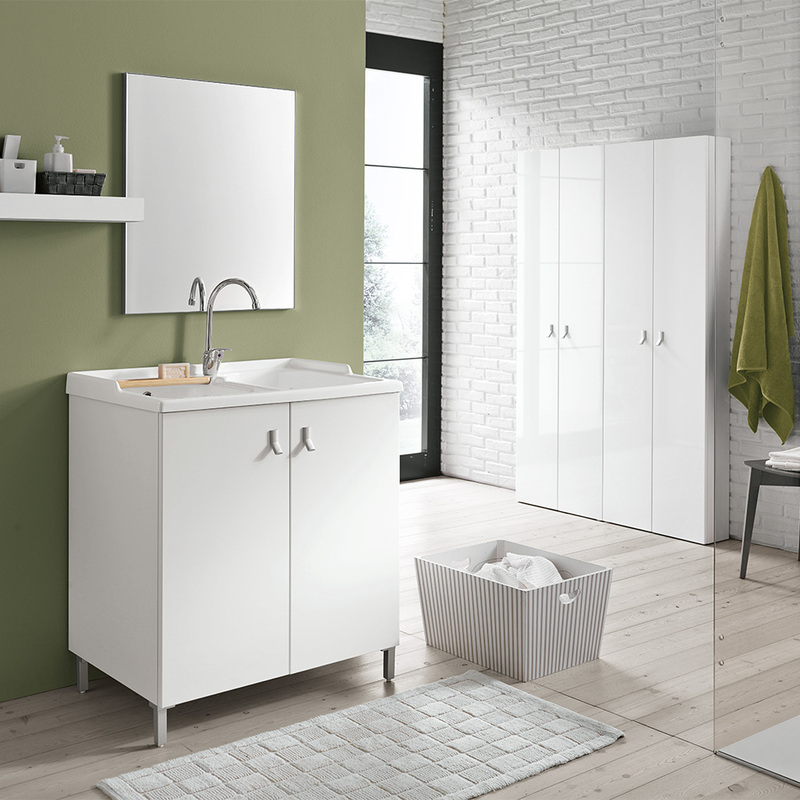 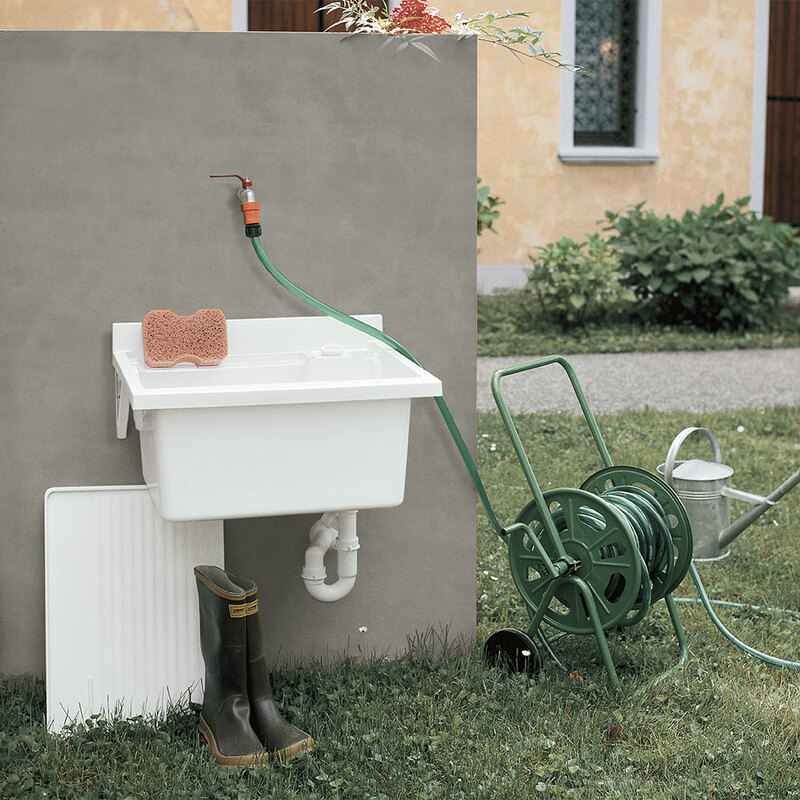 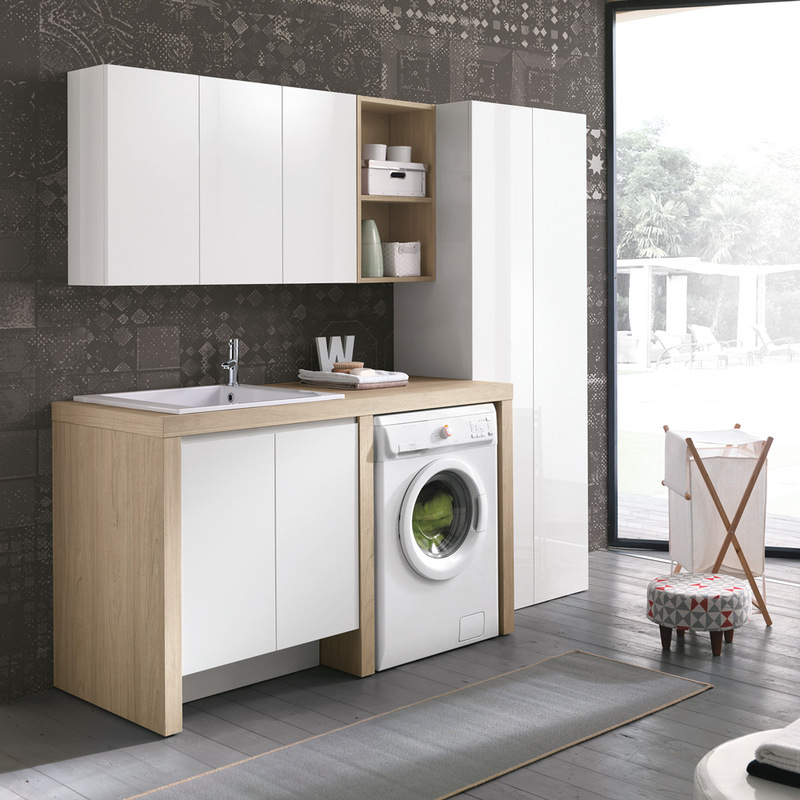 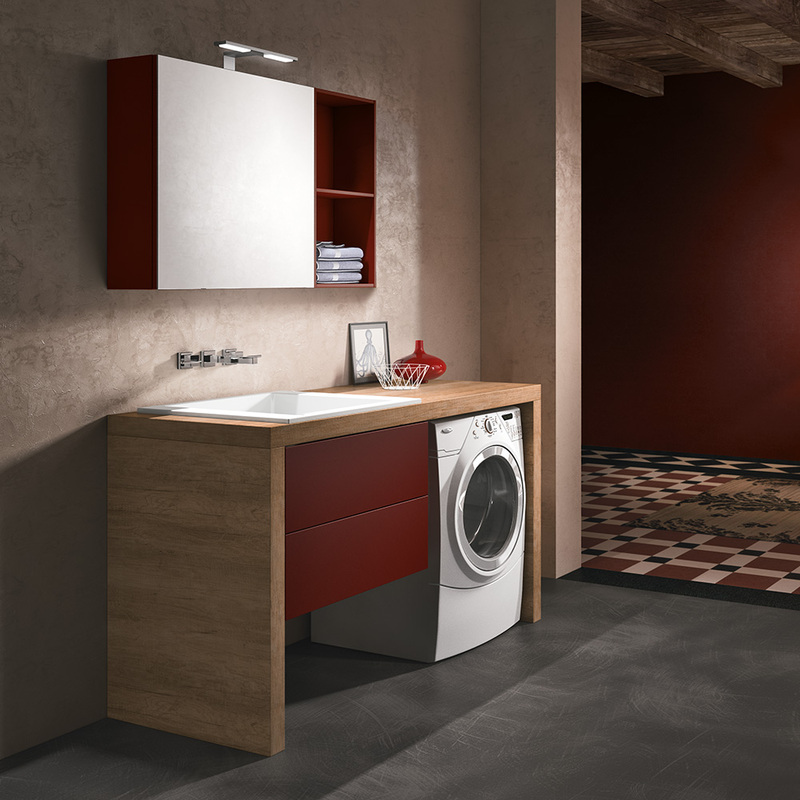 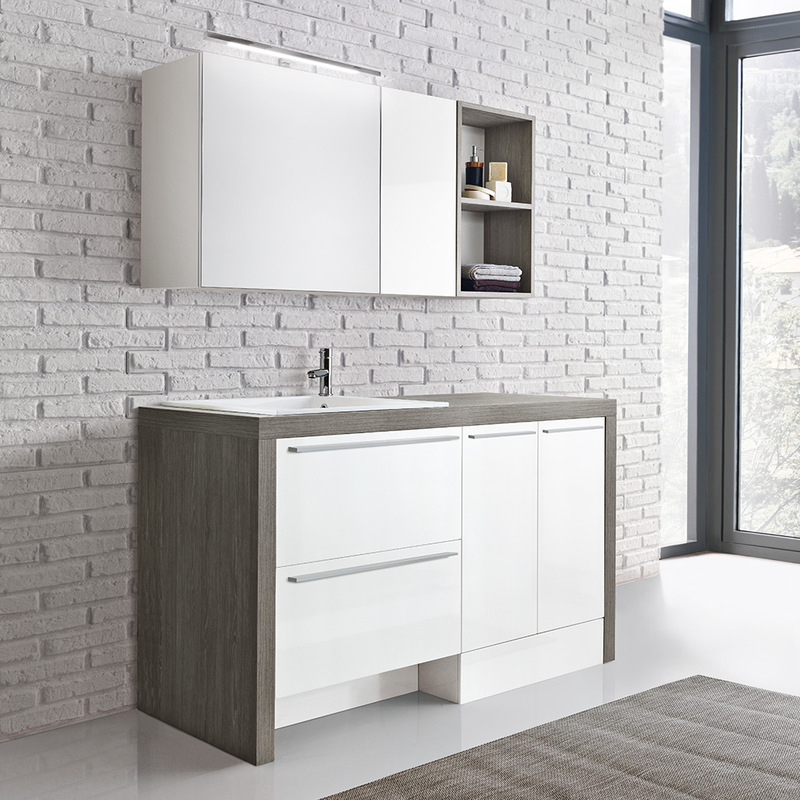 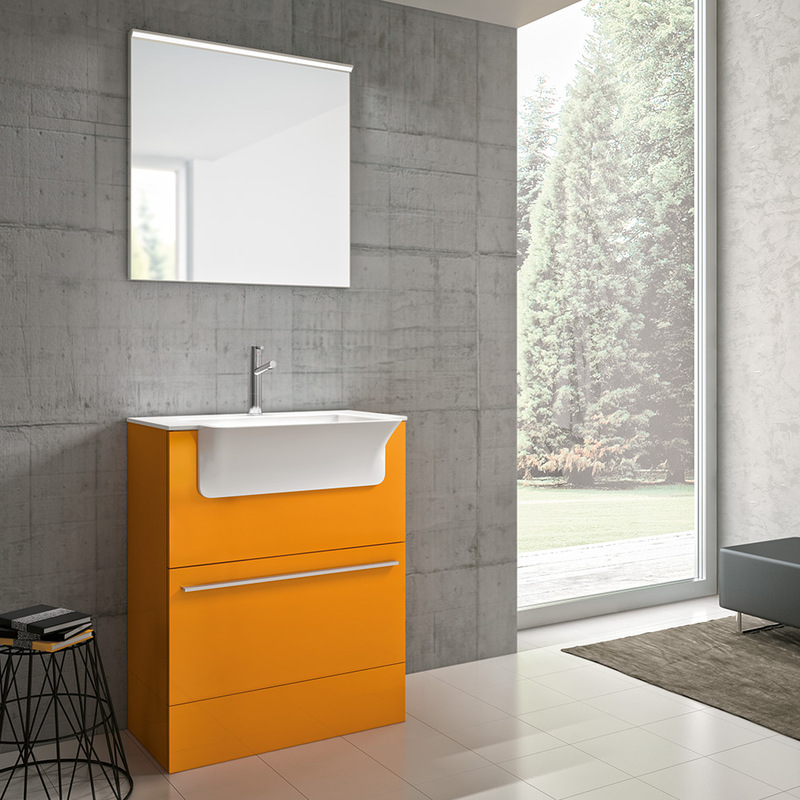 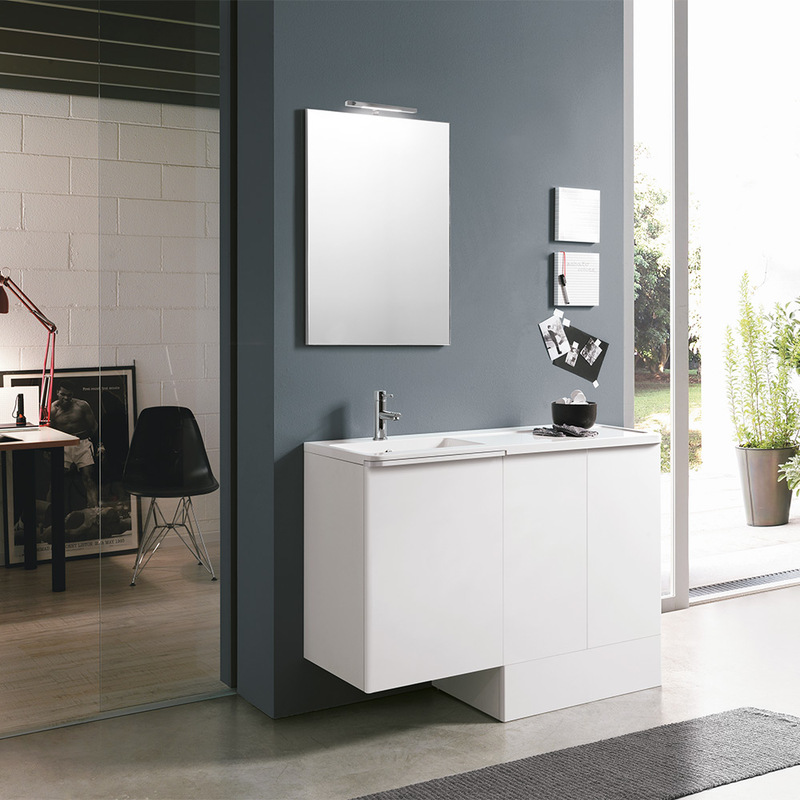 Geo, the sink unit entirely made of thermoplastic with gloss white finishes.